My daughter became obsessed with this dinner when she heard about it from her Nanny. My family’s roots are embedded deeply in our English heritage and my mom loves to tell my kids about all things British. 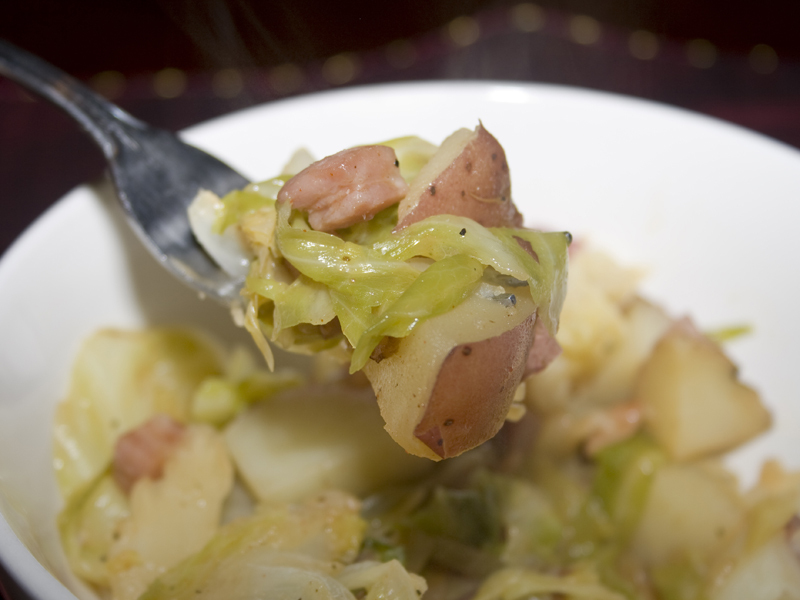 Traditionally this meal is made using leftovers from a roast or ham., thrown together with potatoes and cabbage to make a one pot wonder that is delicious and full of homey flavor. 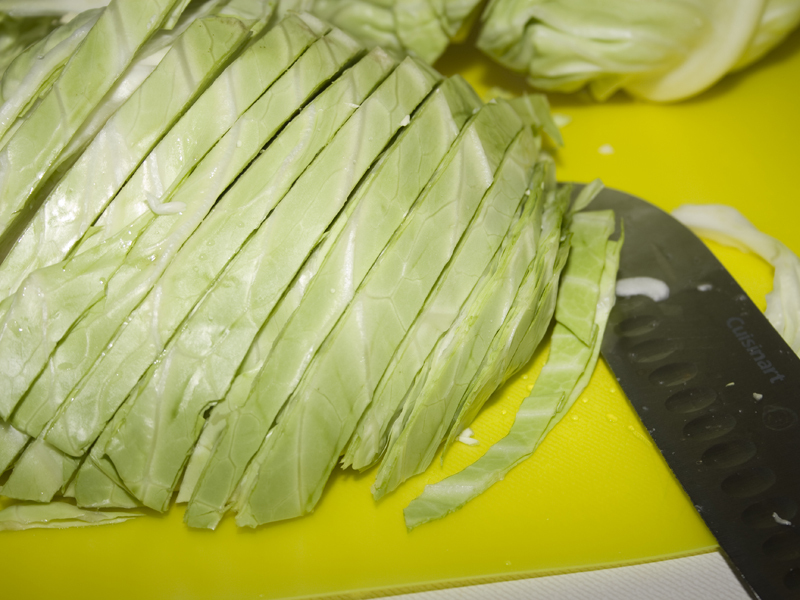 Start with a head of cabbage. Chop half roughly into slices and boil until softened. This dish has two kinds of pork in it. Bacon and ham. Mmmmm. Bacon! 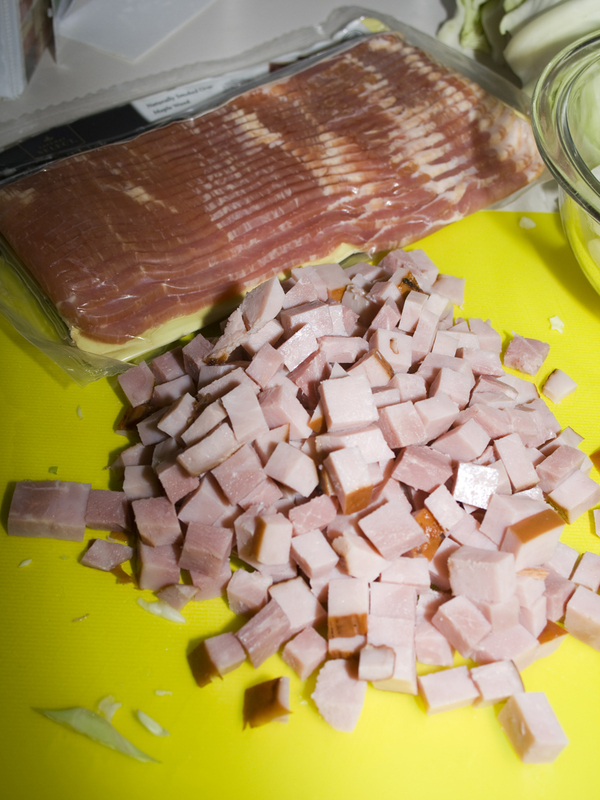 Chop the bacon, and cook it about half way. Then add some sliced onion into the pan and let it get all soft and yummy in the bacon grease. Why yes, this is a low-fat/low-calorie dish. How could you tell? 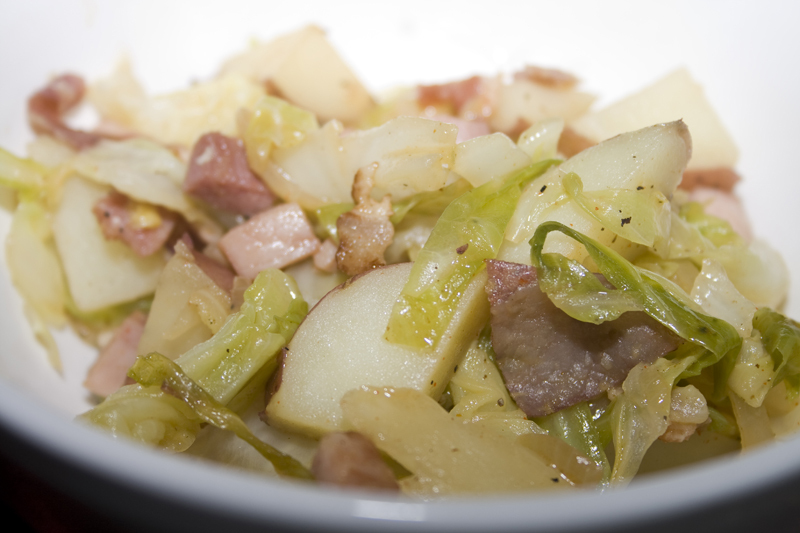 Then we add the ham, the cooked cabbage and some diced potatoes. And some butter and seasonings. Stir it all around until it’s combined and let it brown up just a bit. Make sure you have a big pan. It’s gonna be full! This is where the name comes from. It’s going to be squeaking in the pan as the cabbage and potatoes finish cooking. A little more seasoning and it’s done! Home cooking English style. Meat and potatoes and more meat all together in one glorious bite! 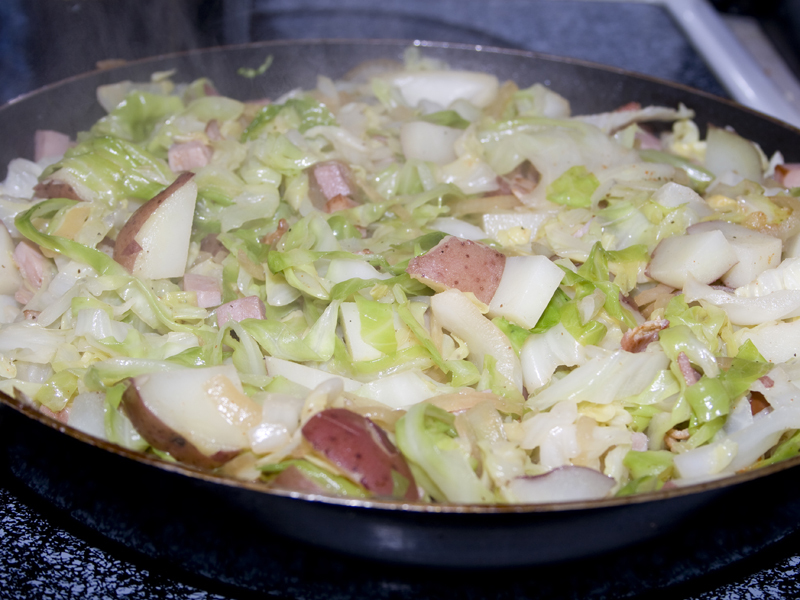 In a medium saucepan, cook cabbage in a small amount of water for about 5 minutes, or until tender. Drain, and set aside. In a non-stick skillet, cook bacon halfway. 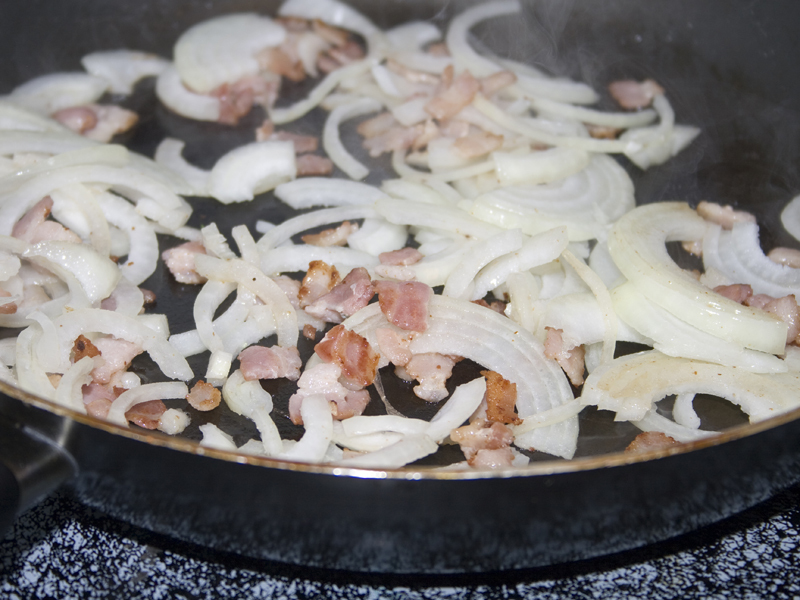 Add onion to pan with bacon, cook until softened. Add ham, and cook until heated through. 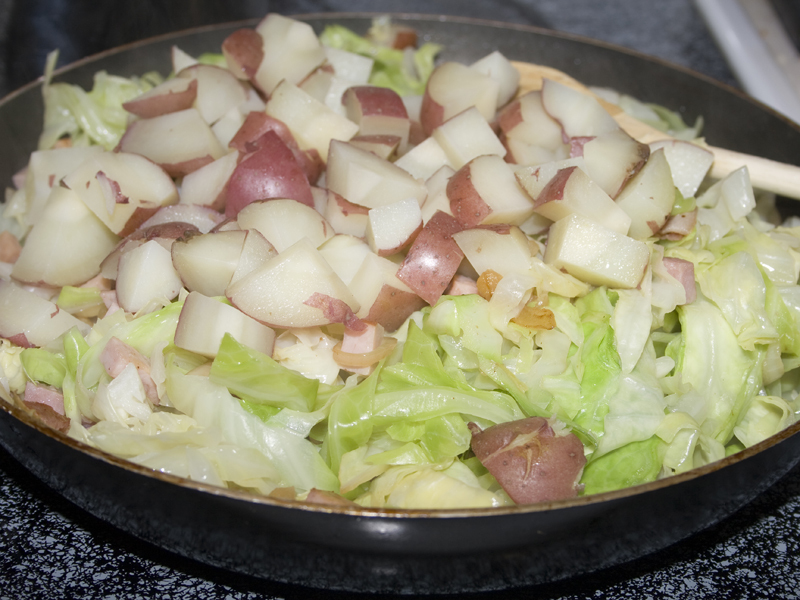 Add butter, then mix in the cooked cabbage and potatoes. Season with paprika, salt, and pepper. Cook until browned on bottom, turn, and brown again. Made this last night and now it’s my new favorite!!!! You and my daughter both! I freakin love this dish! I tell all my friends about it!